Many teenagers all over the country, and even all over the world, will choose to work summer jobs to make extra money, or to gain valuable experience for university applications. However, as with any job, accidents do happen. If your teen is injured while at work, they do have options to seek recovery, despite being a minor. While no job is risk-free, the majority of employment offered to young workers can be quite dangerous. The Centers for Disease Control and Prevention (CDC) report that workers between the ages of 15-19 reported more than twice the rate of work-related injuries than workers between the ages of 20-24. There are multiple causes for this, not least of all that many places of employment that hire teenagers tend to be those that require lots of movement and physical labor, such as restaurants and retail establishments. Also, young workers may often lack the training that older employees have, which might protect them in potentially hazardous situations. If one looks at more rural areas, the risks raise even higher. Many teens work on farms or in construction projects, often following in the footsteps of a parent or other family member, despite the inherent risks in many of these positions. Agriculture and construction are two of the most dangerous fields for employees in the country (regardless of age), and younger workers can make up a depressingly large percentage of the injuries and deaths recorded in any given year. Minors are able to take advantage of workers’ compensation statutes in Florida as long as they are employees and not independent contractors. In fact, Florida law is very strict in terms of ensuring that teenage employees are able to be compensated for injuries they might suffer on the job, not only treating them in a similar manner to adults, but also increasing the indemnity in certain situations (most commonly, if the injured teen employee is found to have been employed illegally, the benefit amount will often be doubled). One other specific that is generally included in Florida workers’ compensation settlements with minors is that minor’s future earning capacity, since a debilitating injury so early in life can have a serious effect on that capacity. This can be difficult to assess, since there is no past work history to compare it with, as there might be with an adult. However, it is important that this be factored in, especially if the minor employee’s injury is severe and potentially disabling. A workers’ compensation attorney can be a major defense against undervaluing your injury. A minor who has been injured on the job can feel utterly powerless, especially when faced with the Byzantine inner workings of Florida’s workers’ compensation system. 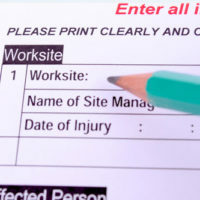 Enlisting an Orlando workers’ compensation lawyer to guide you through can be an enormous help. The Hornsby Law Group has handled many workers’ compensation cases and we are happy to try and help you with yours. Call us today to schedule an appointment.